When it comes to advertising, location is the key to reach your target audience. It’s the same for conveying messages through your digital signage. As you know, what message you’re displaying matters as much as the place you choose for displaying it. What message you really wish to communicate? It’s your content that drives the success of your business operations. Before deciding where you should install your screens, make sure to have a proper understanding of what message you are willing to convey through them. Depending on the target audience, it is important to prepare tailor-made content. Besides, it’s also important to take initiative for choosing the perfect placement area. If your objective is to reach students only, you might not need to place screens inside the staff room. If you are planning to display weather reports and show the traffic, you should aim to place your displays beside highways. In case you wish to create interactive content, make sure that people do not face difficulties to touch the display screen. If using audio is your plan, you probably would not want to place the speakers around noise-free areas, such as a library. Starting with a rock solid plan, with a proper outline of your goals shall benefit you in the long term. It always makes sense to map content according to the location. It’s important to consider where and when your audience would be around. Make sure that when that needs a specific information, your screens are nearby to serve them. No matter how big or bright your screen appears, it would hardly draw the attention of your audience if it is mounted high enough for human eyes to ignore. It always pays off to mount display screens near eye levels or maybe slightly above it. Also, you must also pay attention to external obstructions such as overhead lights, which can distract the reader. If your potential customer isn’t able to read your content properly and interact with the same, you’re but wasting your time and efforts. Accessibility is highly important, especially when you are dealing with interactive content. If you are displaying interactive way finding applications or similar touchscreen designs, make sure that people in wheelchairs do not feel discriminated while using your kiosk. 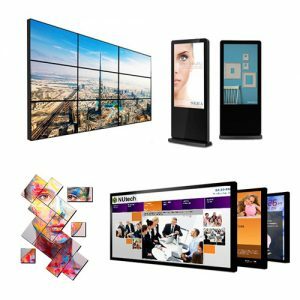 You can help them use your facility by placing your smart digital signage Singapore based kiosk lower than usual or include proper control panel at the bottom of the machine. Of course, this sounds obvious. However, often it’s seen that business owners violate this simple rule of thumb, mostly because of network concerns. The Singapore digital advertising marketplace has evolved to a great extent in a course of last few years. Today, network is not a concern anymore, as you can easily take help of a sturdy wall with installed network cables. Also keep in mind that choosing a place that is rarely used, shall give you the worst returns on tour investment. Search for areas where your target audience frequently congregate.